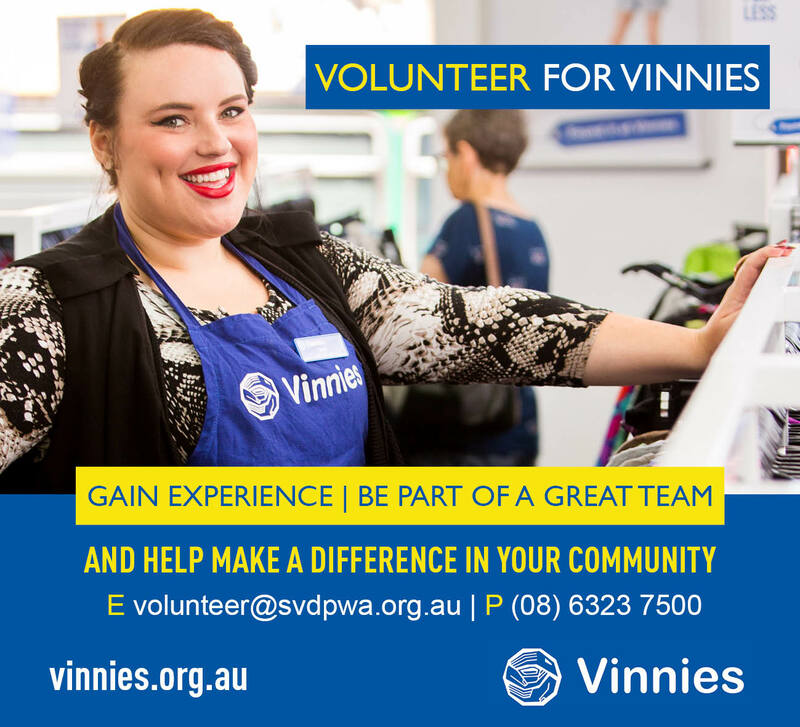 Volunteers are an integral part of Vinnies Shops. Whether it is selling or sorting – our shops could not operate without their generous contribution. By volunteering in one of our shops you can be sure you’re making a difference to people in need. For many volunteers, this is a chance to give something back to the community and to use their skills and experience to make a difference in the lives of people who need assistance the most. For others, it is a chance to develop new skills and experience in a supportive environment. Contact us today to register your interest, email volunteer@svdpwa.org.au.